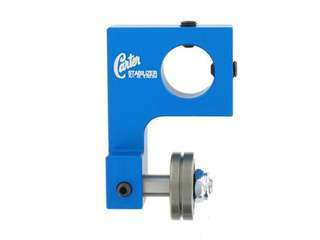 For use on saws equipped with Carter guide kits. Fits in 7/16" mounts. Carter Guide equipped Delta 14", Jet 14", Grizzly 14", 16" and 18", Rigid 14", Craftsman 14" and SCM S45 18"
For use on General 15" and Grizzly 16" saws equiped with Carter guide kits, and Sears 12" with hexagonal post. General 15" and Grizzly 16" saws equiped with Carter guide kits, and Sears 12" with hexagonal post. 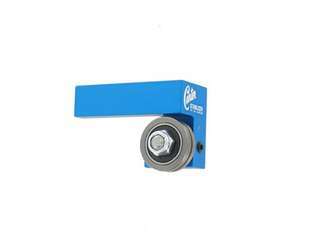 Carter Jet 18" & 20"
For use on saws equipped with Carter guide kits for Jet 18" and Jet 20". 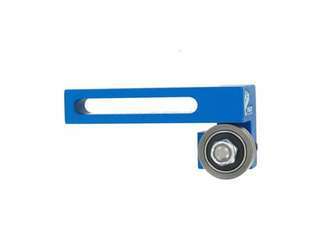 saws equipped with Carter guide kits for Jet 18" and Jet 20". 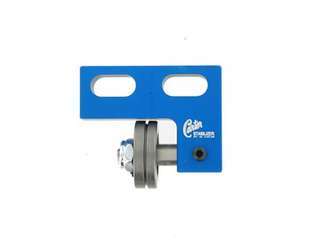 For use on saws equiped with 3/4" horizontal stud on upper post and Carter brackets. 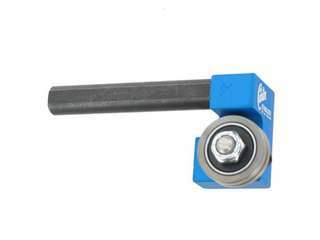 Stabilizer® mounts on 3/4" upper post stud. 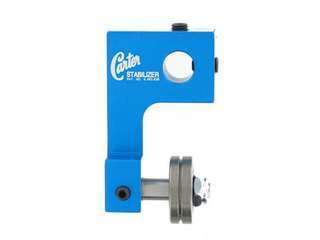 For use on saws equiped with 7/16" horizontal stud on upper post and Carter brackets. 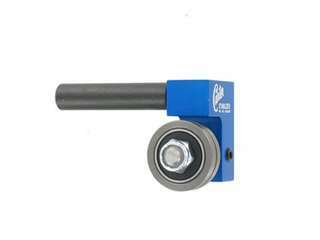 Stabilizer® mounts on 7/16" upper post stud. saws equiped with 7/16" horizontal stud on upper post and Carter brackets. 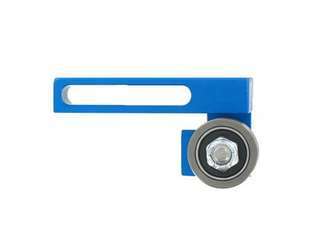 Stabilizer® mounts on 7/16" upper post stud. Fits Grizzly 16" saws only. For use on Jet 16", 18", 20" saws as well as the Laguna 16" and many other European saws. Jet 16", 18" and 20" Laguna 16" and many other European saws. For use with Laguna HD saws with ceramic guides. 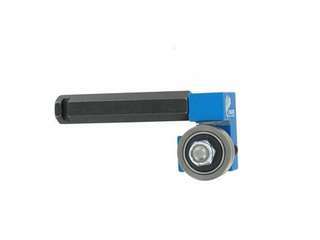 Fits Powermatic model 44 and Powermatic model 140 with the 3/8" round upper guide bar. Powermatic Model 44 and 140 with 3/8" round shaft. 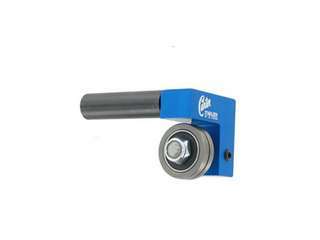 For Powermatic model 141 with 1/2" round upper post. Fits Rikon 10", Rikon 14" and 2005 and newer Sears Craftsman 14" Professional saws. For use with Rikon 18" saw. 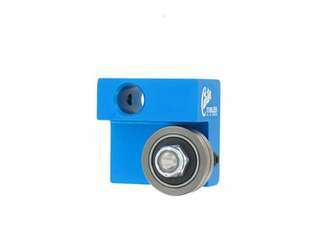 Fits most stock OEM guides with block configuration. 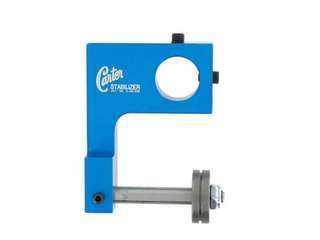 For saws with Carter guide kits installed see our Carter 14" to 18" Stabilizer (model CTR1). Delta 14", Jet 14", Rigid 14", Reliant 14", Sears Contractor 14", Grizzly 14", PowerMatic 14CS and other similar saws using rub blocks. 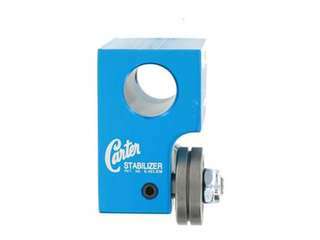 Carter's patented Stabilizer® band saw guide will provide excellent stability and unmatched versatility when cutting with blades 1/4" or less in width. if you own or are purchasing a Carter full guide kit then it's just as easy as sliding out the upper guide and in the Stabilizer® and you're ready to cut.